can’t afford to miss, says Thomas Smit. Paul Roos – ‘Oom Polla’ – led the first Springbok tour overseas, to England in 1906. In fact, it was during this tour that the SA national rugby side came to be called the ‘Springboks’. Apparently Roos, his vice-captain and the team manager came up with the name to ensure that the British press did not invent their own nickname for the team. Roos was also a school teacher and the Paul Roos Gymnasium near Stellenbosch in the Western Cape is named after him. On 22 August 2015, a pigeon race offering R1 million in combined prize money will be held to commemorate the 150th anniversary of the founding of the school. The event is the brainchild of Tokkas van Heerden, a member of the Old Boys’ committee. Symbolically, 150 racing pigeons will be released from the school’s rugby field between 8am and 9am, depending on the weather. The birds will travel 520km to the home loft on Windsor Farm near Victoria West. 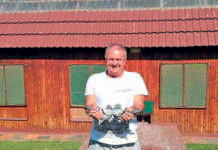 This loft belongs to Jaco de Bruyn, a Merino farmer and pigeon fancier, who will be training the birds. De Bruyn expanded his own lofts to house the competition pigeons. He is a trustee of the Victoria West Community Trust, which will supply the birds. The Trust’s lofts house a total of 180 pigeons, donated from Jaco’s own breeding stock and that of fanciers across the country. The pigeons are currently enjoying the moulting season. Once home-trained and fit, they will receive road training to get them acquainted with the distance of the Paul Roos race. As part of their preparation, the same flock will participate in a charity event on 27 June that coincides with the Victoria West Game Festival. 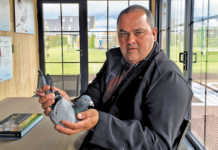 Before that, on 27 March, the 150 Paul Roos pigeons will be on display, and up for auction, at a gala event. 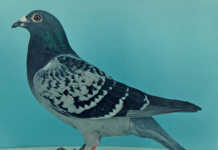 Here buyers can purchase the rights to a pigeon for the race; after the event, the bird will be returned to the Victoria West trust. Participants will thus buy into the prize-winning stakes, and will not own the pigeons. Guests at the same table may form a syndicate to purchase the rights to a pigeon. Half the proceeds of the auction will go to the Paul Roos Gymnasium. The other half will make up the prize money. De Bruyn estimates that more than R1 million will be raised at the auction. This means the winner of the final should receive about R200 000. Runners-up will also receive cash prizes. For details of the charity event, contact [email protected] or 072 798 3220 (Jaco de Bruyn). For tickets to the dinner and auction, email [email protected] or phone 021 883 8627. For details on the Paul Roos race, email Frans van Niekerk at [email protected].